This is the Cushion Cut Pattern from Caroline at Nightingale Quilts - I was one of her pattern testers. 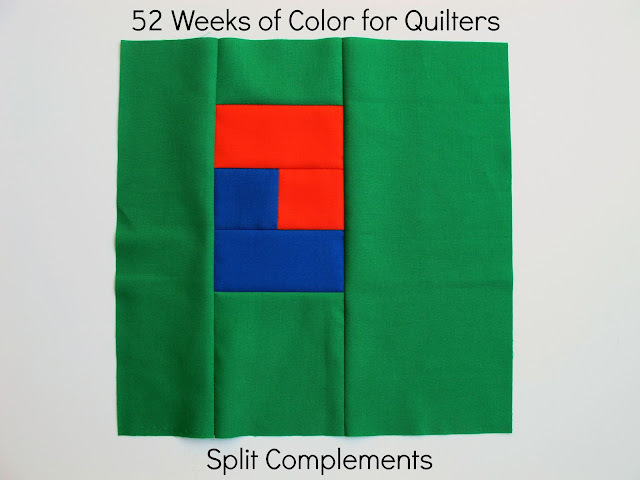 I knew as soon as I saw this that my child would LOVE it and since she has a birthday fast approaching I thought this would be the perfect birthday quilt. Caroline is an excellent pattern writer, her illustrations are clear and concise and I'd recommend her patterns to any and everyone. 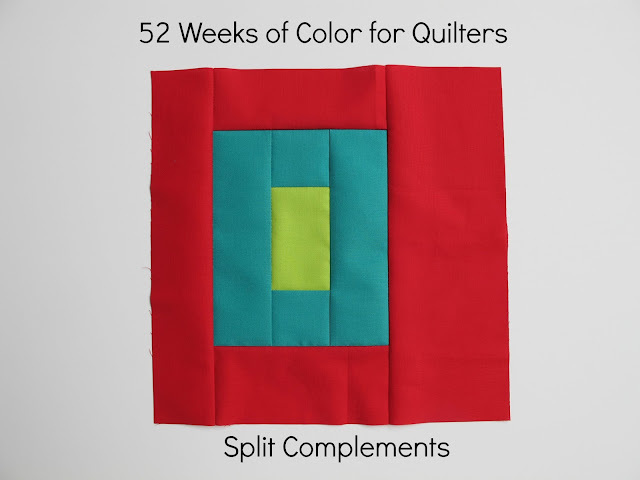 Even beginners could make this quilt and feel like rockstars. 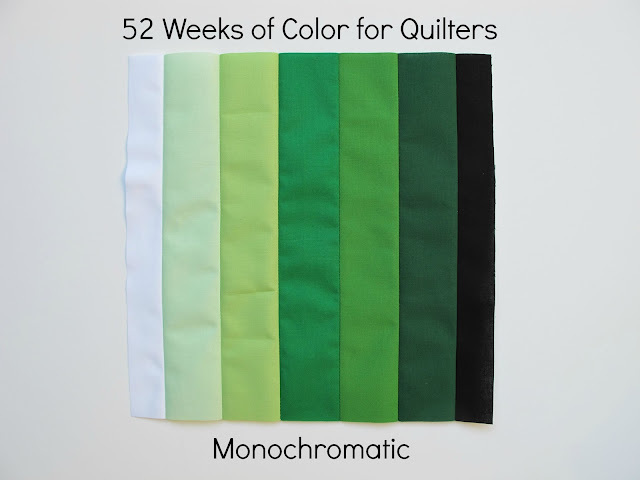 I used all Kona cottons - this was a perfect place to apply some of the color theories I've been sharing in my 52 Weeks of Color for Quilters series. I used pure colors for the centers and tints and tones for the outsides of the jewels. 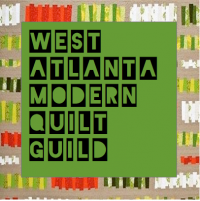 My blocks are 18" and my finished quilt size is 54"x72". I did dense straight line quilting on the white sashing - not quite matchstick but 1/4". I added one line of quilting inside the jewel to echo the shape and add the look of another facet. It felt like the quilting took forever but I love it so I'd say it was all worth it in the end. Of course it was impossible to make a quilt this size and keep it secret so my child has already claimed it and been using it since the minute it was done - which of course thrills me. Caroline has this pattern listed in her Craftsy shop right now if you'd like to go check it out! She's also generously offered me a copy to give away, all you have to do is leave a comment right here by midnight tomorrow night (Sunday 8/30/15). I'll announce the winner Monday morning. Thanks for stopping by! Thanks to everyone who entered Caroline's giveaway! My tiny in-house random number picker picked comment number 5 from Ella :-) I'll be emailing you your copy of the Cushion Cut Pattern. If you didn't win thanks again for entering and please check out Nightingale Quilt's Craftsy shop to see all her wonderful patterns! Finally a few prints from my stash that correlate with the colors of this set. This set feels very masculine to me, add some yellow green and maybe a little brown and I see the beginnings of a boyish quilt. Hopefully as we go through these different color combinations you'll begin to see relationships you like and see how these colors can be building blocks for bigger projects! Welcome back, after a week of vacation I'm trying to get back into the swing of regular life this week. It feels much more hectic with projects due and back to school looming but it's all good so I'm trying to just take a couple deep breaths and enjoy it all. I was legitimately happy to get back to THIS project! I've amassed a pretty good pile of scraps from the previous blocks so I decided to make this series of blocks all simple improv blocks. This week we're starting Split Complements - I'm going to share one set each week for the next 12 weeks. 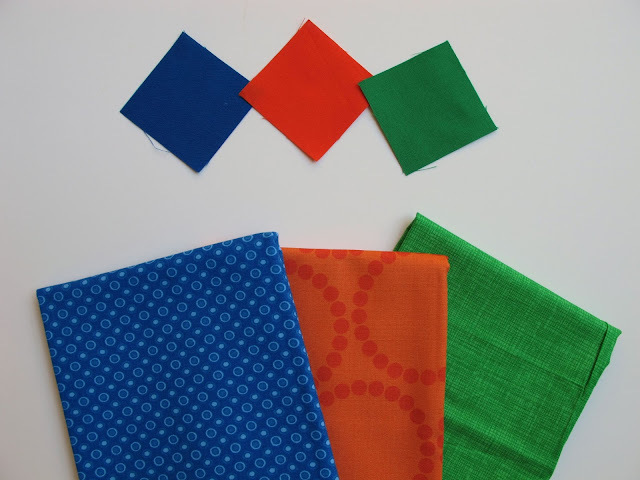 I'm hoping to add in more print fabric examples and maybe even mix things up by throwing in some relevant artworks that illustrate the Split Complements. 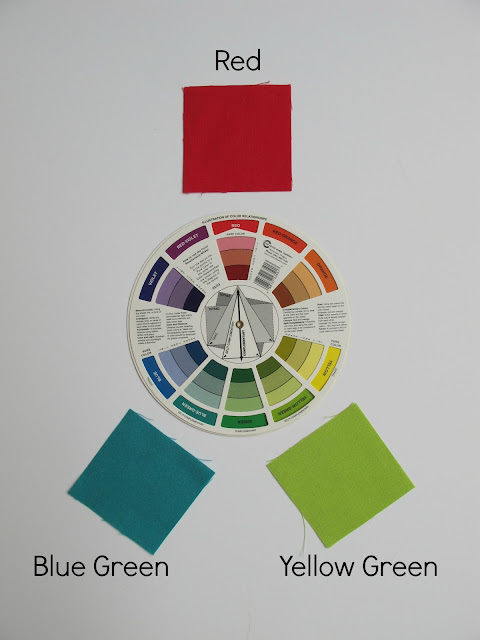 So we talked about Complementary Colors this week and this week, they are pairs that are located directly across from each other on the color wheel. Split Complements are groups of three colors consisting of one color and (instead of the color opposite it) the two colors on either side of the complement. 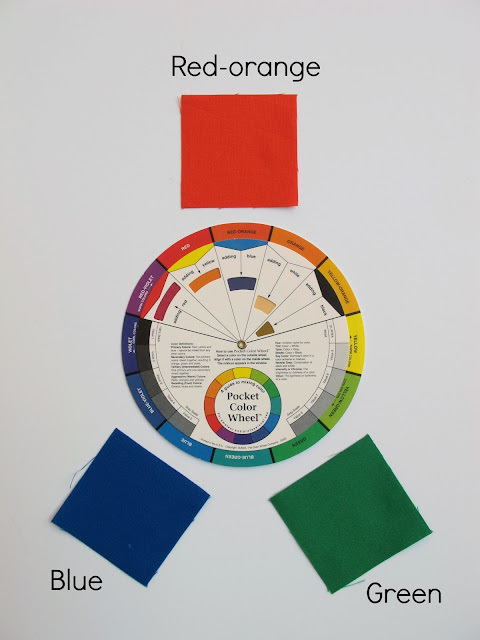 This week's example is shown above along with the color wheel to help illustrate. So instead of Red and Green (which are Complements) this group consists of Red, Blue Green and Yellow Green. Well hello there! Another week, another set of colors to talk about - I love it. So this week we're looking at a Monochromatic block. 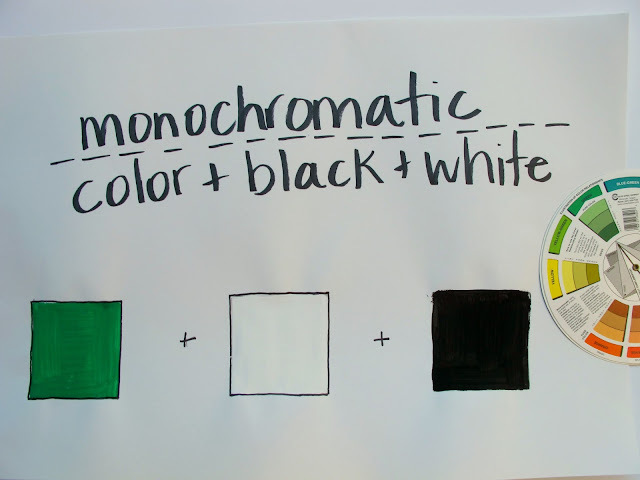 Monochromatic literally means "one color" so this should be a pretty easy concept, a Monochromatic color scheme is one that uses just ONE color plus black and white. So that means you can use all the tints, tones and shades we've been looking at the past few weeks too. I kept this block simple to show the gradation in color and value that you can use with a Monochromatic color scheme. White on the far left, tints, the pure green in the middle, a tone, a shade and finally black on the far left. It might seem limiting but I think you can actually create a lot of contrast and excitement within a limited color scheme like this one - the different values are the key to both of those. I'll be on vacation next week but I'll meet you back here Tuesday August 18th to start Split Triads. Thanks for stopping by!